Extracted from finest corn seed, our Refined Corn Oil has high smoke that makes it ideal for frying. The Corn Extracted Oil offered by us is a key ingredient in margarine. 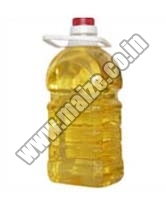 We are tagged as one of the Corn Oil Exporters and Pure Corn Oil suppliers from India. They can be availed at nominal prices.